After last week’s teaser, Smart has decided to fully reveal its latest concept car ahead of showing it in the metal at the Frankfurt Motor Show next month. 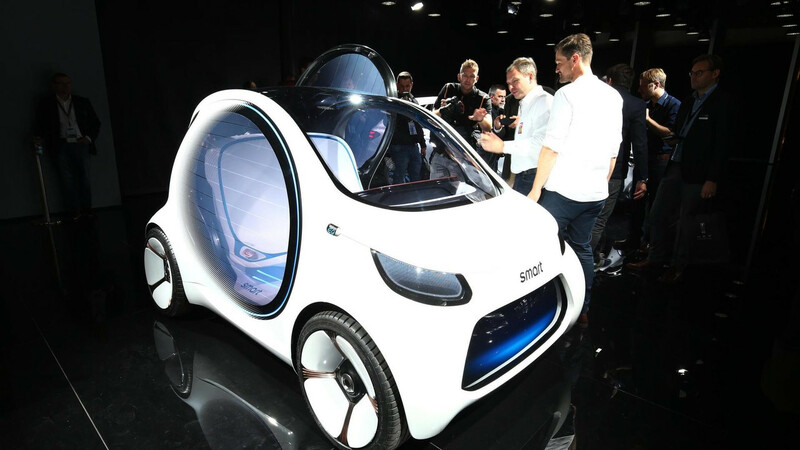 The Vision EQ ForTwo takes the shape of a fully electric two seater developed for city use and fitted with an advanced autonomous driving system. It’s not being envisioned as a personal vehicle as instead Smart sees it embodying the future of car sharing. 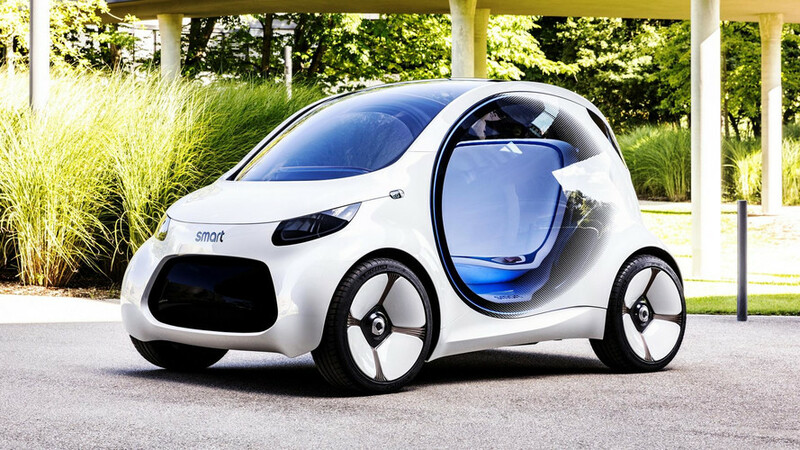 Being a concept, it means Smart had the freedom to go all out and overhaul the ForTwo Electric Drive we have to day and turn it into this 2030 city car with a more rounded body and smart (get it?) looks. For example, those aren’t actually regular headlights and taillights as the Vision EQ has been fitted with LED screens instead. The grille is also one large digital panel capable of displaying multiple messages as a way to communicate with other cars on the road. Another ace up its sleeve is represented by the special film applied onto the side windows to project information from the inside. Speaking of the interior, getting inside the minimalistic cabin is done through the two doors that pivot close to the body towards the rear to save space and also to reduce the risks of accidents involving cyclists or pedestrians. You won’t find any conventional controls as everything you will need is going to be on that wide display. 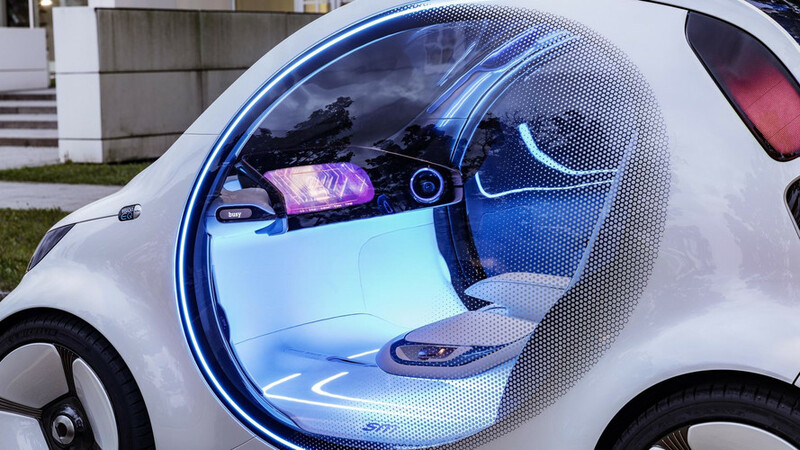 Since this is a fully autonomous car, the steering wheel and pedals are a thing of the past, thus freeing up more room inside the tiny cabin. 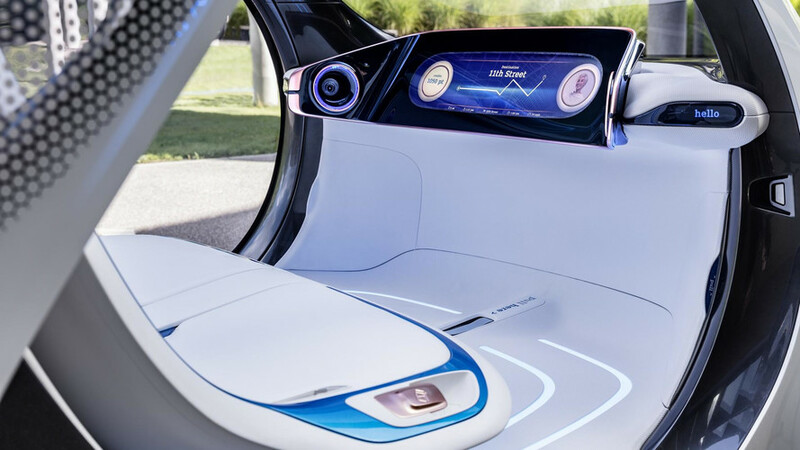 A lithium-ion battery pack with a capacity of 30 kWh is at the heart of the Vision EQ ForTwo and can be charged inductively, which will eliminate the hassle of having to use a charging cable. Smart says the battery can be charged independently when the car is not in use and can also act as a “swarm battery” to stabilize the electricity grid. The Vision EQ also serves as a preview of what to expect from Daimler’s electrified push as part of the newly established EQ brand, which is set to include more than 10 production EVs by 2022. These will range in size from a pint-sized Smart model to a large SUV carrying the three-pointed star badge.